Your Ogden Utah bike expert since 1976! 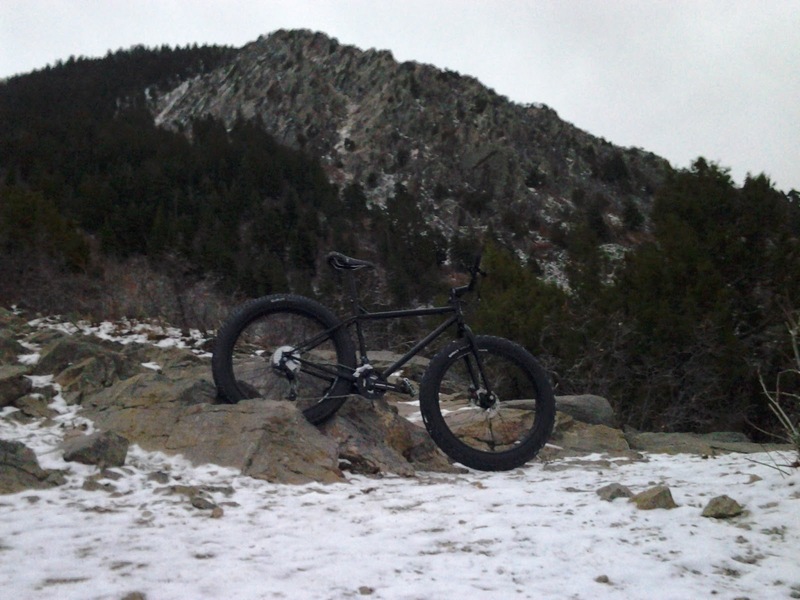 The most obvious must ride trail in Ogden to any local is Bonneville Shoreline Trail (BST). In the Ogden area you can ride from Beus Canyon all the way to Willard, mostly on dirt. And currently trails are being built to connect it entirely. I think the best sections are north of North Ogden Divide to Pleasant View and north of Ogden Canyon to Ogden Nature Center North. However, from Rainbow Gardens to Beus Canyon gets a lot more traffic and has really good flow. On any section of trail you should be well aware that there could be someone around a corner, but from Rainbow to Beus the chances of someone actually being there are very high. 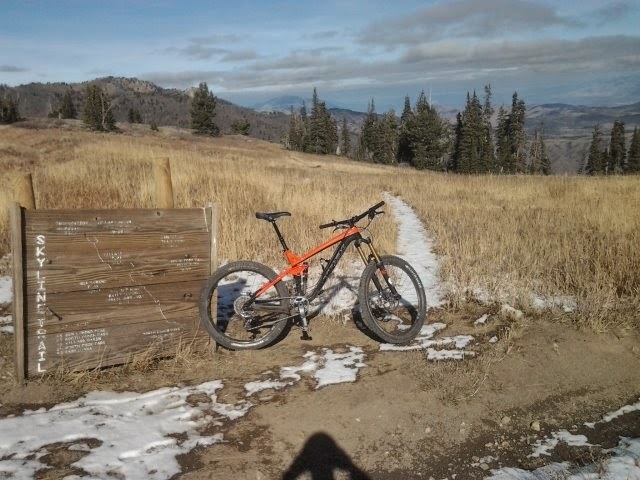 The reason I personally like BST north of the Divide is because it is a fairly easy uphill with good sight in all directions and just enough technical riding to keep advanced riders entertained without being overwhelming to newer riders. 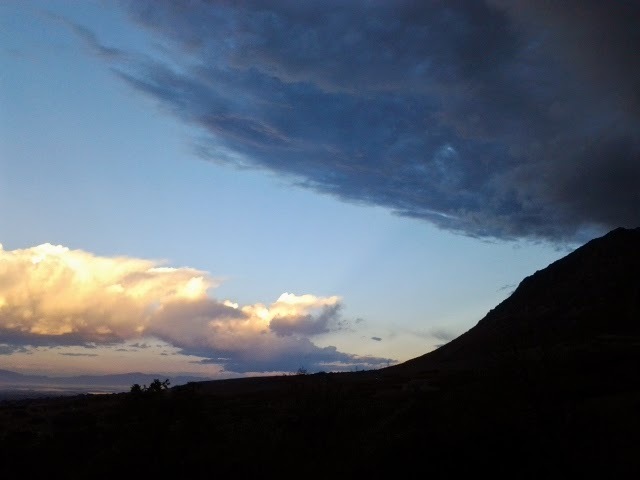 I like BST north of Ogden Canyon because there is less traffic and as you get further toward the Nature Center it gets quite rocky and technical. Most people will have difficulty past the intersection for Jump Off Canyon's trailhead. I only know of a couple of people that can ride the rocky, technical section out AND back. I think more riders will be able to do it as they try it on a fat bike, but on your typical mountain bike, you WILL get worked. This is part of the appeal to me. It's always challenging and I consistently have to walk less of it. 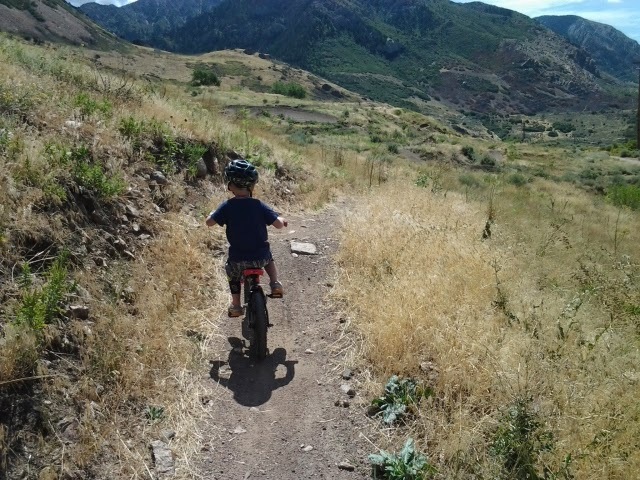 Another favorite among the locals is Ogden Bike Park (OBP). This has trails suitable for a 4 year old on 16 inch wheels and a coaster brake, yet it also has trails requiring 8 inches of travel and a dual crown fork. 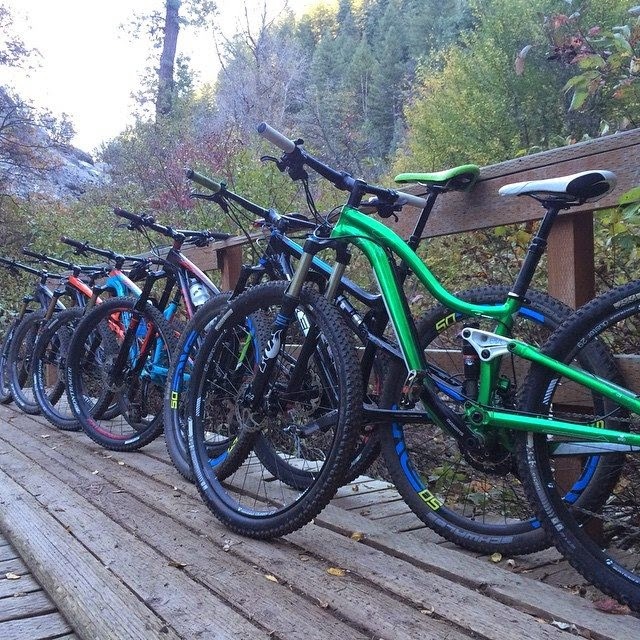 I have ridden OBP with my kids as well as with some of the most capable freeriders I know. It has every level of riding covered and it is constantly progressing because of the dedicated crew and locals that are willing to dig before they ride. Early this year the OBP crew built even bigger gaps and drops as well as two new pump tracks. I recommend these trails often to people that are just starting out riding on dirt as well as to people that want somewhere to take their bikes that usually require lift served or shuttle access. I think the biggest thing OBP has going for it is all of the trails are one way only. That means that you can open it up and really rail the perfectly formed berms. You can also see most of the park from the top of the trails so you have a pretty good idea if someone is on the trail already or if someone is looking to come up despite the one-way only signs. This is the first trail on the list that people might question your sanity if you enjoy it. Malan's Peak! It's a pretty short trail, but crazy steep with some insanely technical sections. Malan's is also a favorite among the hiking enthusiasts, so when we ride it we are perhaps overly accommodating so we can continue to ride it. I ride it because it's the only trail I am aware of that reminds me of the trails I grew up riding in Logan Canyon. Steep and technical can be miserable on the way up, but therapeutic on the way down. It usually takes me an hour to get up and about 15 minutes to get down. It is well worth it for roughly 15 minutes. Skyline trail to Ben Lomond's saddle is another personal favorite. It's another one that takes far longer to get up than it does to get back down. It has everything you could want in a ride; step downs, rocky sections, rooty off-camber sections, fast flow, and amazing views. 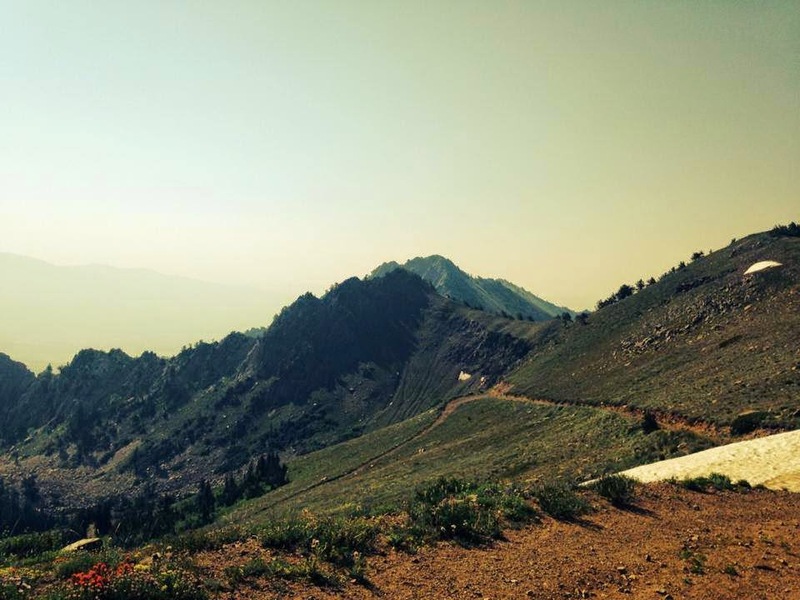 When you ride it at night you can see all along the Wasatch Front, down into Ogden Valley, and up into Cache Valley. You can see mountain goats, moose, and deer on many of the rides up there. Plus the dirt and ecosystem change as you get further up. I can't relay how much I love this trail. Skyline is one of those trails that is physically demanding, but everything in life seems better after you've ridden it. It's one that you have to experience yourself. The last place to mention is all around Snowbasin. If I had narrowed down this list to only specific trails, it would have consisted of mostly these trails and Skyline. If you start at Wheeler's Creek trailhead across from Pineview Reservoir, you can link thousands of vertical feet and pedal over 100 miles without taking the same route twice. I think the routes most worth mentioning are the East Fork/Middle Fork loop, Sardine Peak Loop, and Ice Box Canyon. East Fork/Middle Fork is a fast flowing route that you can hit Ice Box Canyon on the way back down. Ice Box is steep, technical and beautiful. 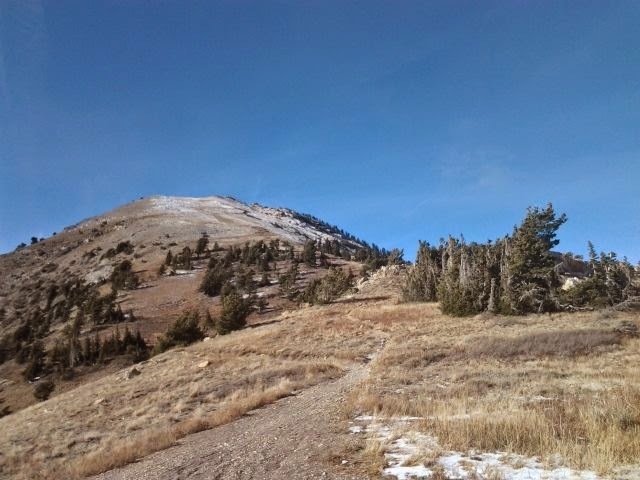 Sardine Peak ranks up there with BST as far as a favorite among locals, but because it's been the route for Xterra Nationals for a few years, it's on many rider's lists of must rides. I personally prefer to ride Sardine counter-clockwise, but because I made the mistake of trying to ride it that direction on a Saturday morning, I learned that most people like to ride it clockwise. Sardine is wide open for most of the ride because you have good visibility, but there are still some switchbacks and blind corners, and because it's a popular trail also, expect someone to be around that blind corner. Let me know if you think there is anywhere I forgot to mention that you love to ride. I need to ride some of these trails this year! Yes, you do. As well as some others. Some of these will be part of our Peak-A-Week rides. I'll put you down as confirmed on the RSVP. Grizzly in Perry to Ben Lomond (bring more than a small snack). North Fork has Mule Ear and Mule Shoe, and Bicentennial that are fun. Riding to North Fork from Ben Lomond is a lot of fun, too. We are fortunate to have the trails and terrain readily available to us.